Greetings, Earthling! 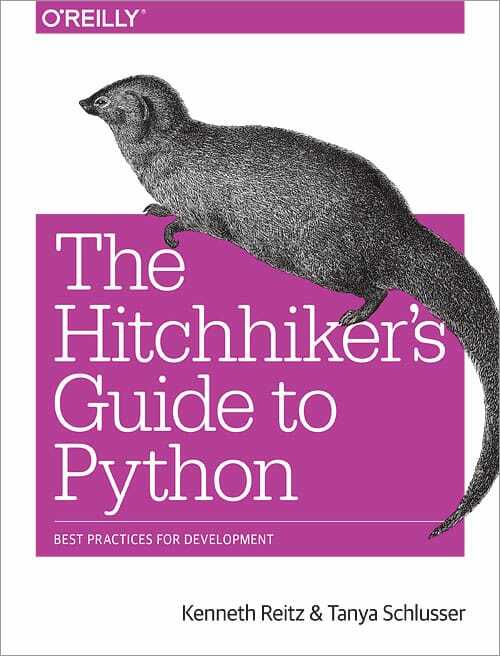 Welcome to The Hitchhiker’s Guide to Python. This is a living, breathing guide. If you’d like to contribute, fork us on GitHub! This handcrafted guide exists to provide both novice and expert Python developers a best practice handbook to the installation, configuration, and usage of Python on a daily basis. This guide is opinionated in a way that is almost, but not quite, entirely unlike Python’s official documentation. You won’t find a list of every Python web framework available here. Rather, you’ll find a nice concise list of highly recommended options. Let’s get started! But first, let’s make sure you know where your towel is. This part of the guide focuses on the Python development environment, and the best-practice tools that are available for writing Python code. This part of the guide focuses on the best-practices for writing Python code. This part of the guide focuses on tool and module advice based on different scenarios. This part of the guide focuses on deploying your Python code. This part of the guide, which is mostly prose, begins with some background information about Python, and then focuses on next steps. Notes defined within all diatonic and chromatic musical scales have been intentionally excluded from this list of additional notes. Additionally, this note. Contribution notes and legal information (for those interested). This guide is the result of the collaboration of hundreds of people around the world, and your contributions are welcome!